As per requests of Governor Imee Marcos and Mayor Francis Espiritu to take a shot of the elders smoking tobacco to be featured on a tabacalera project, Alaric Yanos of PGIN set a date of pictorial and invited me to come with him to the town of Dumalneg. Dumalneg is a 5th class municipality composed of only one barangay. It has a small population of 1, 716 people as of the latest census. 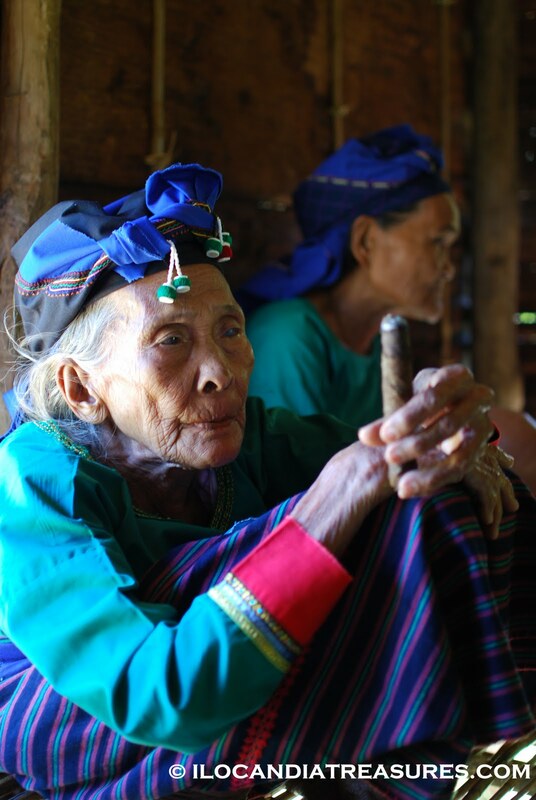 The said town is a cultural community with a group of Isneg people also known as Isnag or Apayao. They speak Yapayao such as anto nagan mo?, when you ask what is your name? Most of the elders in this town, be an old man or woman smoke tobacco as their habit or if not they take beetle nut or so called mamaen or nganga. They usually prepare these themselves. They ground by the use of small aluminum tubular almires the beetle nut or boa and add some green gawed leaves (beetle leaf), lime (made of pulverized seashells) or sometimes with muscada or chewed tobacco leaf. I have tried this myself and it was a strange taste but later it soothes. 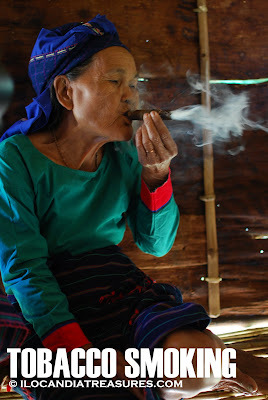 They make the tobacco cigar by rolling a dried leaf. They light it up then puff it. When puffing a tobacco, they invert it literally placing the smoke inside their mouth. This is what I also observed from my grandmother when she was still alive. They smoke on a squat position or on a slouch position and fold the legs toward the trunk. We set our pictorials inside a sigay or a little hut which according to them is the traditional house of Isneg made of indigenous materials. 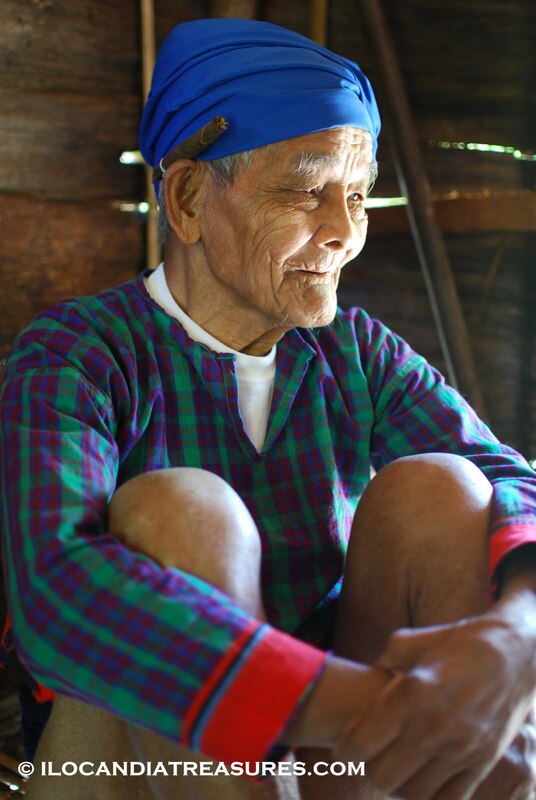 Kakay Huwebes Andres is 106 years old according to him. He was born on a Thursday so his name is Huwebes. That is the traditional way of naming a person. He doesn’t smoke but only chew beetle nut. Lola Lucia is a very old woman. When I asked her age, she cannot remember. She is a traditional healer. She has a bit difficulty of hearing. She has a kyphosis that she walks with a severe curve of the back. We had another model who is younger at 65 but I forgot to ask her name. She was good in smoking tobacco, small or big ones. She really smokes well.